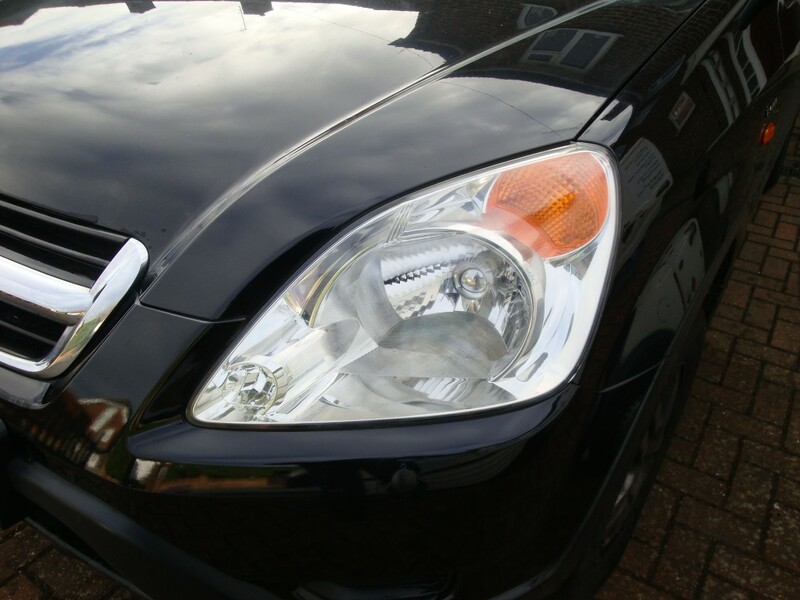 Alongside valeting and detailing, Surrey Shine Car Valet also offers cloudy/yellow headlight restoration in Surrey. 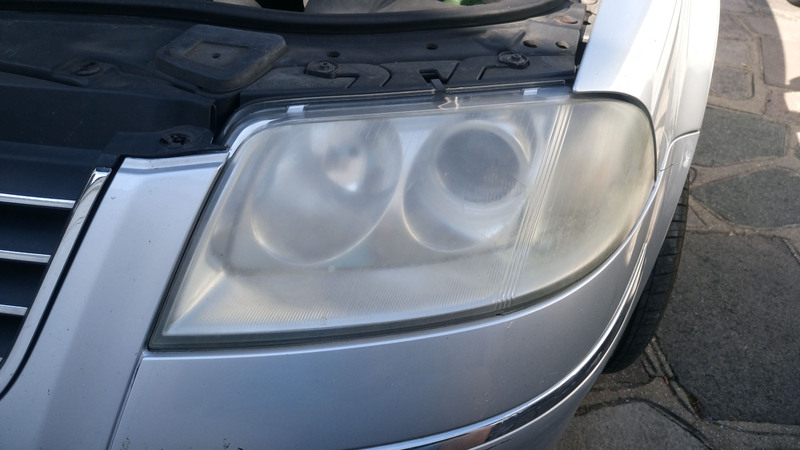 Have your car’s headlights seen clearer days? 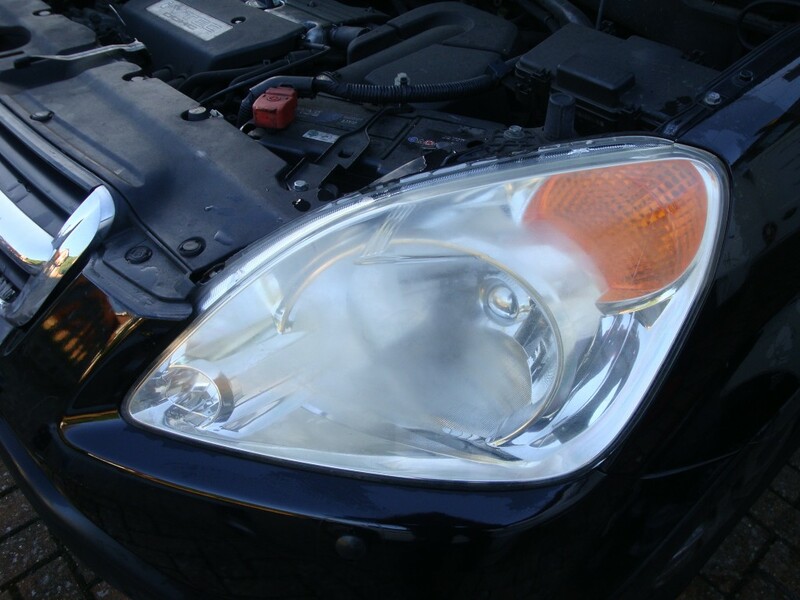 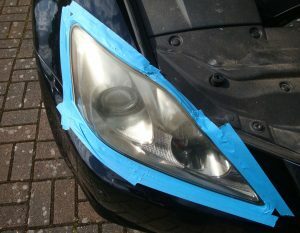 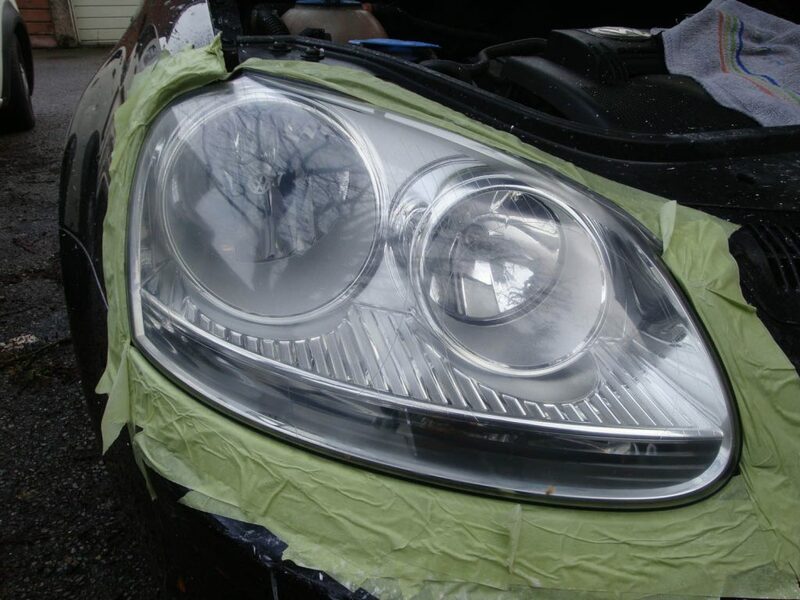 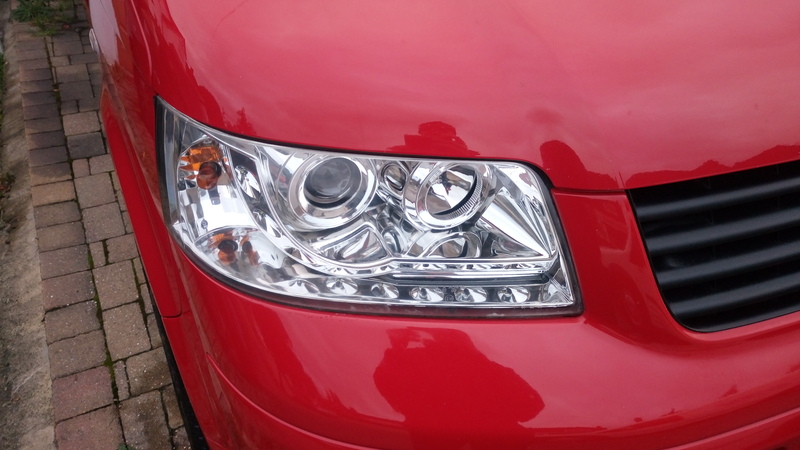 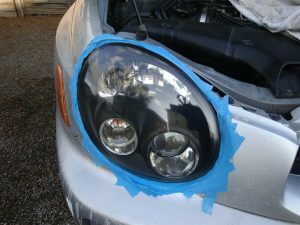 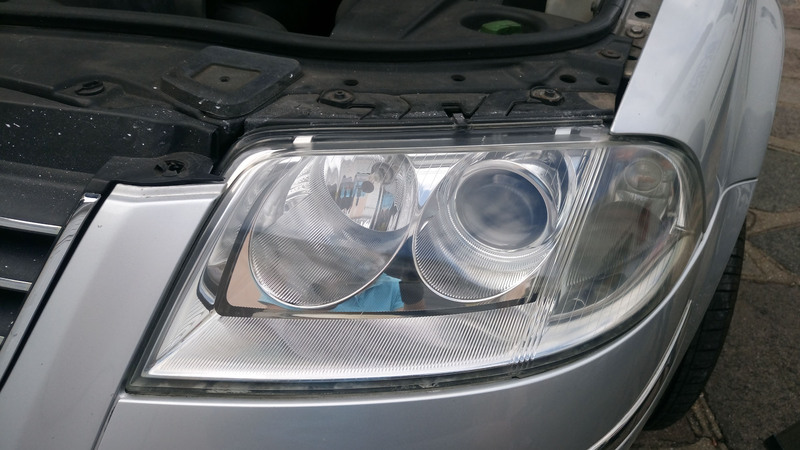 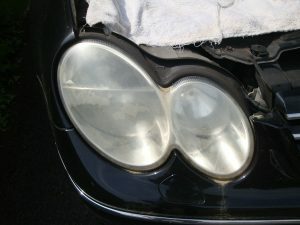 Over time, the combination of exposure to rain, road grime and the sun’s UV rays, gradually cause the plastic lens covers on many headlights to become oxidised with a white or yellow cloudy/foggy layer. 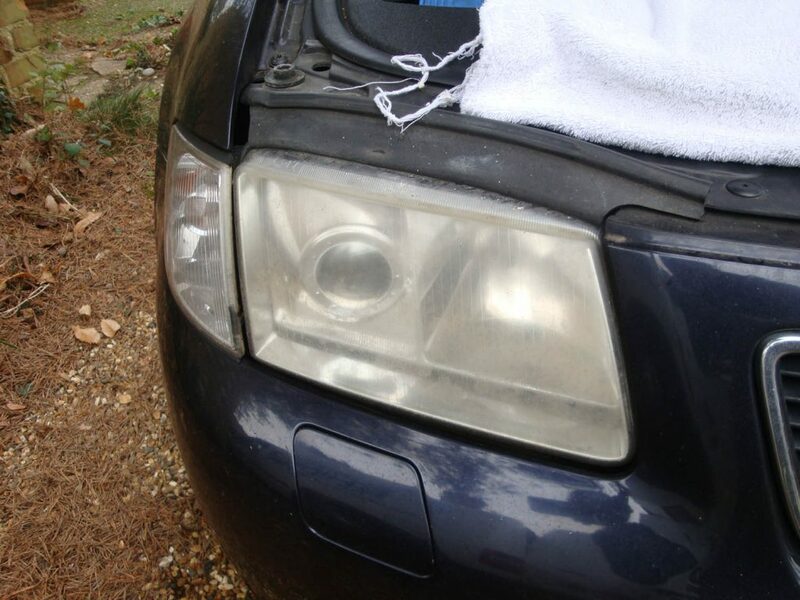 This opaqueness reduces the efficiency of lighting – eventually becoming an MoT failure – not to mention looking unsightly and spoiling the appearance of your car. 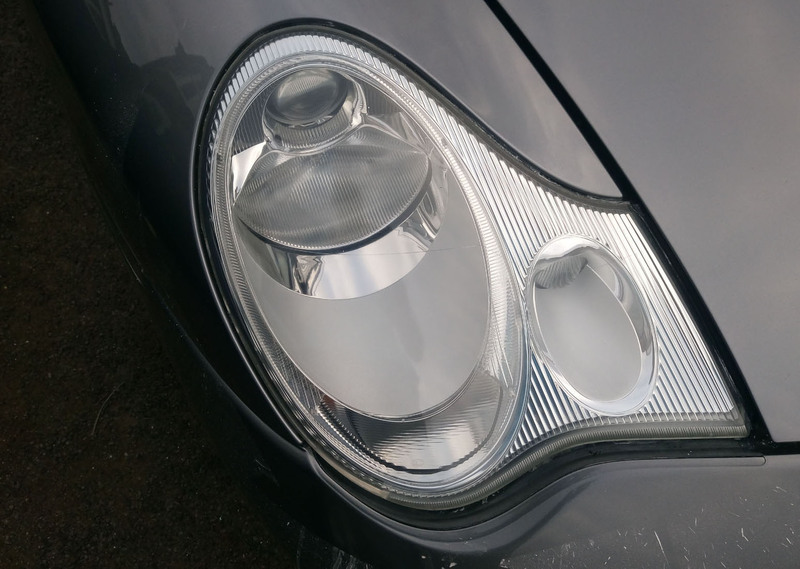 Surrey Shine Car Valet’s professional Headlight Restoration procedure strips away the contaminated outer surface of the headlights. 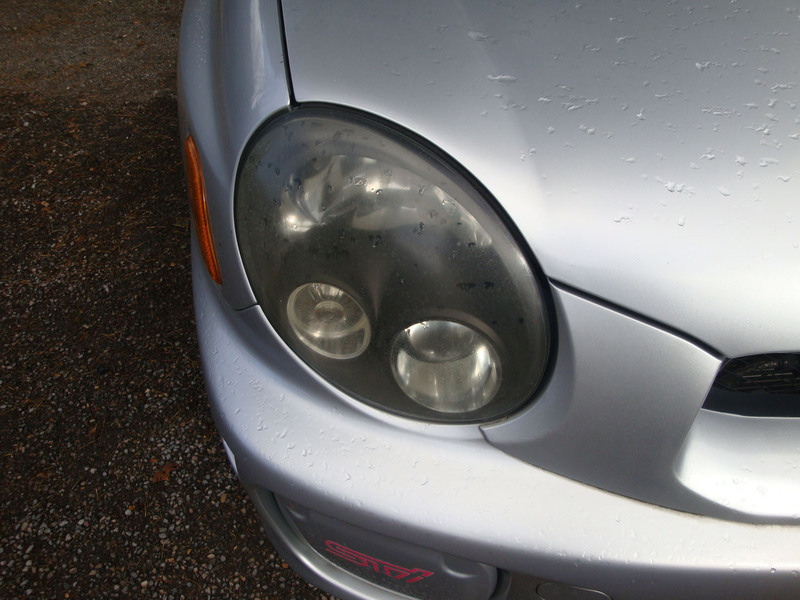 This is achieved by using up to six different grades/grits of sanding – ranging from coarse to fine. 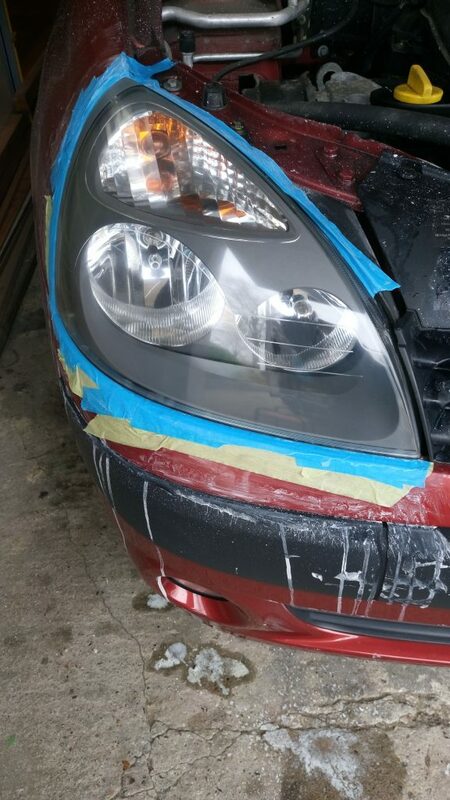 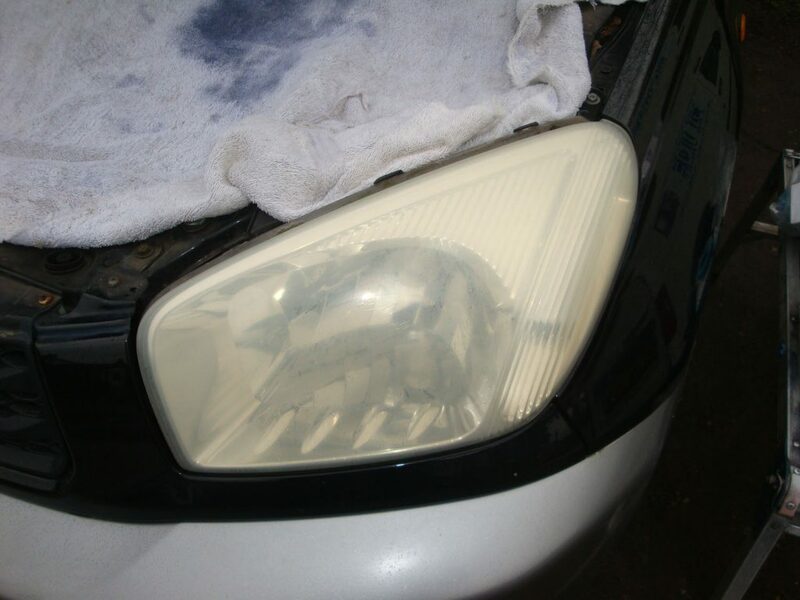 This multi-stage sanding process reveals clear uncontaminated plastic, which is then polished-up to restore an almost as-good-as- new appearance to your car’s headlights. 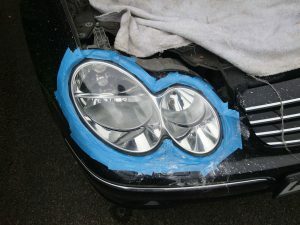 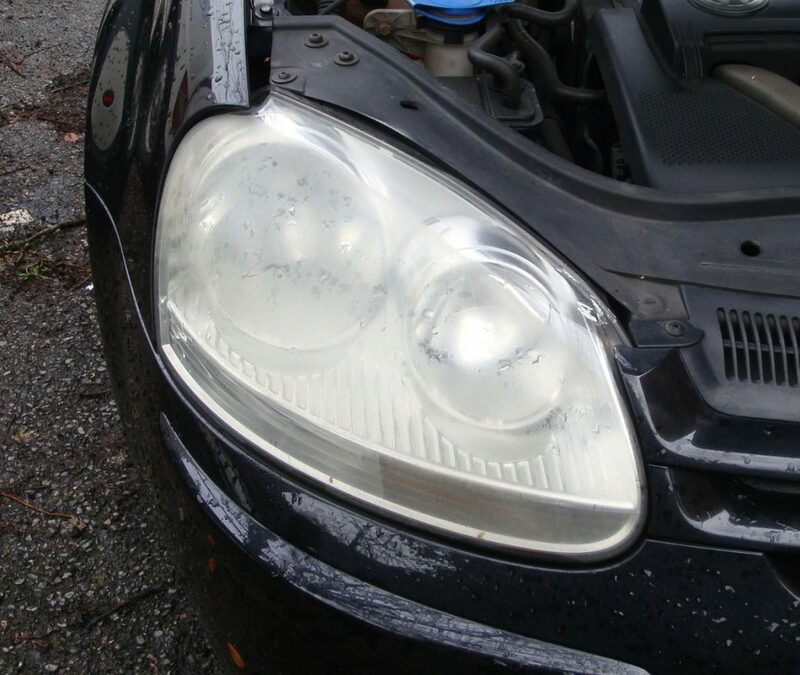 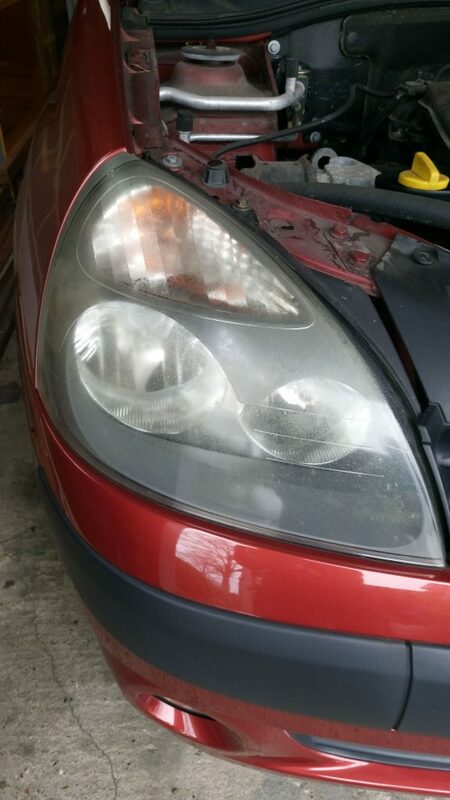 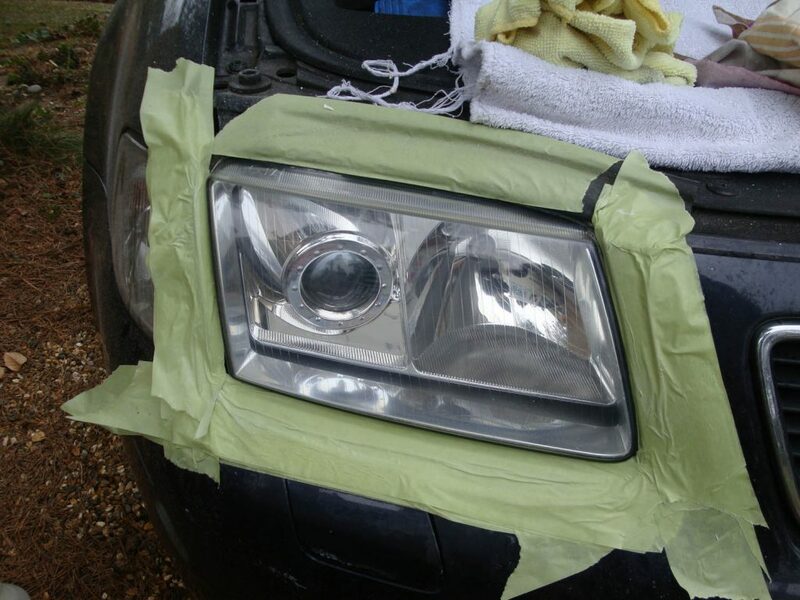 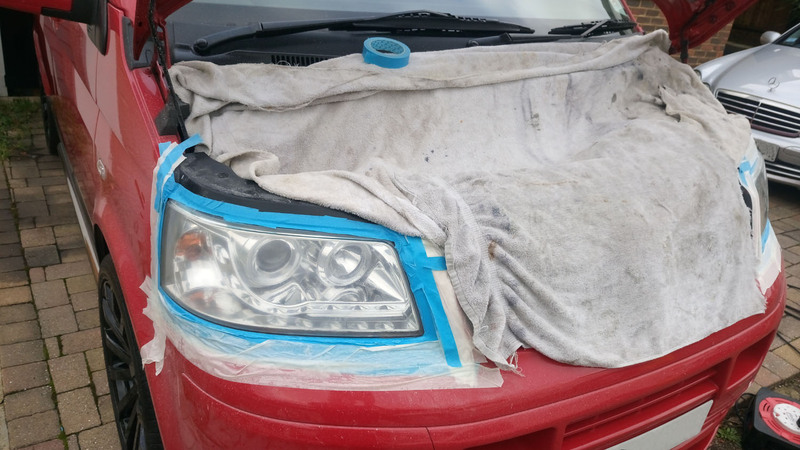 Finally, a protective sealant is applied to the headlights, to help maintain the clear, shiny appearance… all for a fraction of the cost of replacement headlights! 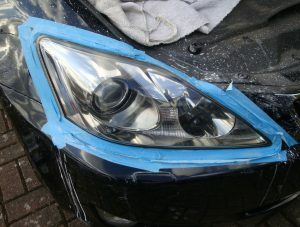 The whole procedure only takes a few hours and can be done on your driveway, or off-road parking space. 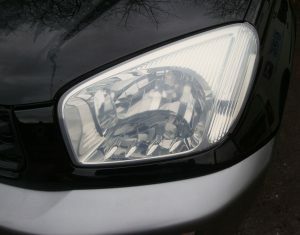 Just £70 for the pair. 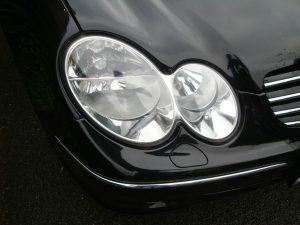 See pictures below of some examples. Can’t see the service you’re looking for? Then call 07702 958 344, email me or get in touch and I’ll be happy to tailor something for you.